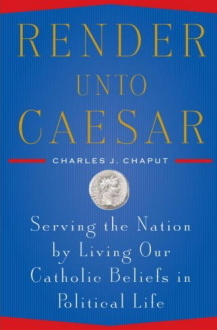 The new book, Render Unto Caesar (Doubleday), by Archbishop Charles Chaput of Denver, Colorado, summons American Catholics to enter the political fray, especially on prolife issues such as abortion, in the middle of a close battle between Republicans and Democrats for the U.S. presidency. Chaput acknowledges the complexities of the political process, but claims that American Catholics have been discouraged from full political participation both by the secularism and anti-Catholicism of the American “elite,” such as the media, and by their own assimilation into an affluent and complacent American culture. Chaput doesn’t endorse Republican candidate John McCain nor explicitly advise readers against voting for the Democratic Party, adding that “All political parties have parts of their platforms that fly in the face of Catholic teaching.” He adds that the church should steer clear of dictating social policy but only offer general moral principles. But throughout the book he stresses the non-negotiable nature of abortion and other life issues for Catholic voters. Chaput also endorses the controversial practice of refusing pro-choice politicians the Eucharist, although he stipulates that such a policy has to be applied on a case-by-case basis. Much of Chaput’s book can also be seen as part of the trend toward “evangelical Catholicism,” as it stresses the importance of personal faith and devotion and the centrality of evangelization. Even in his discussion of Catholic social teachings, Chaput writes that a primary concern should be a renewal of Catholic faith and an evangelization of non-Christians through humanitarian efforts. But whether Catholics will translate their faith into what Chaput calls “Catholic action” in the political sphere remains to be seen. American Catholics are about as divided as other Americans in deciding between candidates John McCain and Barak Obama (although white non-Hispanic Catholics tend to favor McCain over Obama by about a 10 percent margin). The American bishops have made an attempt to stress the pro-life cause, in some cases publicly reproving Catholics who support Obama by denying them the Eucharist. But there has also been several new Catholic organizations, such as Catholics in Alliance, supporting Obama and trying to make the case that other life issues, such as war and poverty, should also figure in Catholics voting. Recent surveys suggest that church groups and leaders attempting to rally Catholics and other Christians either to support Obama or McCain are being met by increasing skepticism and opposition. A survey by the Pew Research Center found a “narrow majority” of the public agreeing that congregations should keep out of political matters. This is a change from just a few years ago when majorities of Americans had voiced support for religious institutions getting politically involved. Another sign of the declining support for such involvement is the small but significant increase since 2004 of people saying they are uncomfortable with politicians talking about their religious faith—from 40 to 46 percent.